Insisting that no “hate crime” is suspected, police in St. Louis arrested an African-American man for a series of arson attacks on African-American churches perpetrated earlier this month. 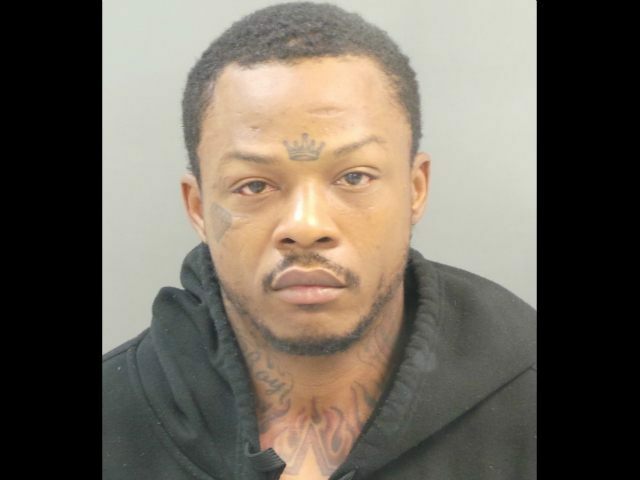 On Friday, police arrested David Lopez Jackson, 35, and charged him with two counts of second-degree arson for setting ablaze seven mostly African-American churches throughout the St. Louis area between October 8 and October 22. Photos show the suspect festooned with tattoos, including a crown on his forehead and flames reaching up from his chest and onto his neck. Authorities report that, in his car, the St. Louis native had a container and a thermos bottle filled with or containing some traces of gasoline when he was arrested on October 29. Other evidence was also cited for his arrest. For instance, Jackson’s car was seen on video surveillance at one of the burned churches. But even as officers have yet to determine a motive, they are insisting that there was no hate crime committed. “There appears to be no indication of a hate crime or sign… any one particular Christian denomination or ethnic group was being targeted,” a representative of the Bureau of Alcohol, Tobacco, Firearms and Explosives said on Friday. Five of the churches burned were a majority African-American, another had a mixed attendance, and the final church had mostly white members. Jackson was also accused of trying to burn a relative’s home late last week. The church-going community was greatly alarmed by the attacks because the fires came not long after nine African-American parishioners at Emanuel AME Church in Charleston, SC, were murdered as they worshiped. “I believe the St. Louis community will have a sigh of relief. Given our history of racial division, it will be a great relief that it is not motivated by prejudice,” the Rev. Rodrick Burton of New Northside Missionary Baptist Church in Jennings said.